Pick and carry cranes are known for their excellent performance in confined spaces – and sometimes a lifting project comes along that tests this to the limit. 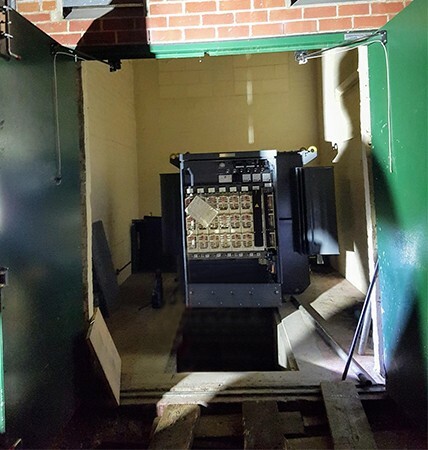 That was certainly the case when Hird was commissioned to lift a 2.5 tonne transformer into position down a fully-enclosed alley in the centre of Morpeth, Northumberland. The only access to the site where the transformer needed to be placed was through an archway and down an alley which, many years before, probably led to stables. 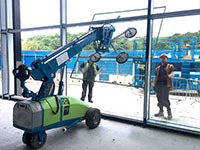 The Hird lifting team selected a Valla 90E mini crane to carry out the task. It had the right lifting capacity and was just compact enough to be driven with extreme care to where the transformer needed to be placed. 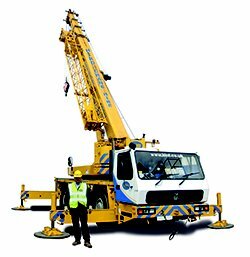 The pick and carry crane has a maximum safe working load of 9 tonnes. It is just 1735mm wide and 2290mm high which gave just the smallest margin for error in guiding the machine into position. 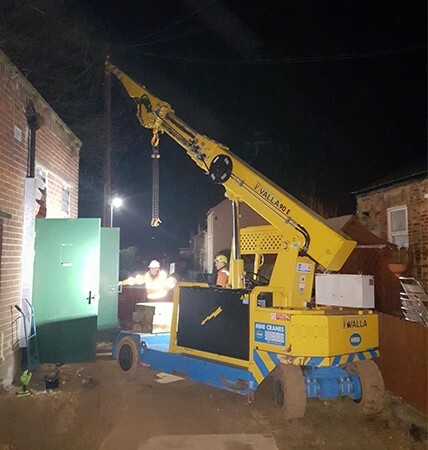 As an electric crane, the Valla 90E is almost silent, which was also a significant benefit, given that the lift had to be done in the middle of the night, and it was important not to disturb local residents. The team made use of the mini crane’s hydraulic luffing jib to control and place the load with precision, another important attribute when working in confined spaces. 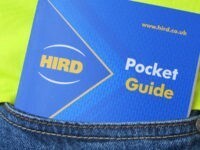 Hird has a wide range of Valla pick and carry cranes for hire or to use for contact lifts and machinery moving. The smallest is the Valla 20E, which has a maximum safe working load of 2 tonnes, while the largest is the Valla 250E which can lift 25 tonnes, but also operates just as effectively in confined spaces. 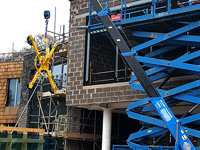 Hird also has a wide range of tracked spider cranes which are also excellent for lifting in confined spaces – as well as glass lifting equipment, including vacuum lifters, and glazing robots. 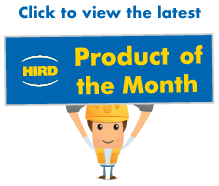 For more information about how a Valla pick and carry crane could get your load into and out of a tight spot, call Hird today.